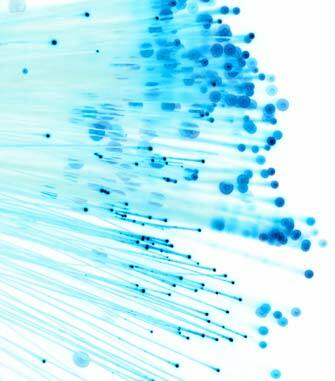 Absorption: That portion of optical attenuation in optical fiber resulting from the conversion of optical power to heat. Caused by impurities in the fiber such as hydroxyl ions. A/B Switch: A device that accepts inputs (optical or electrical) from a primary path and a secondary path to provide automatic or manual switching in the event that the primary path signal is broken or otherwise disrupted. In optical A/B switches, optical signal power thresholds dictate whether the primary path is functioning and signals a switch to the secondary path until optical power is restored to the primary path. AC: Abbreviation for alternating current. An electric current that reverses its direction at regularly recurring intervals. Active Device: A device that requires a source of energy for its operation and has an output that is a function of present and past input signals. Examples include controlled power supplies, transistors, LEDs, amplifiers, and transmitters. A/D orADC: Abbreviation for analog-to-digital converter. A device used to convert analog signals to digital signals. ADM: Abbreviation for add-drop multiplexer. A device which adds or drops signals from a communications network. ADSL: Abbreviation for asynchronous digital subscriber line. See DSL. Aerial Plant: Cable that is suspended in the air on telephone or electric utility poles. AGC: Abbreviation for automatic gain control. A process or means by which gain is automatically adjusted in a specified manner as a function of input level or another specified parameter. AM: Abbreviation for amplitude modulation. A transmission technique in which the amplitude of the carrier varies in accordance with the signal. Amplified Spontaneous Emission (ASE): A background noise mechanism common to all types of erbium-doped fiber amplifiers (EDFAs). It contributes to the noise figure of the EDFA which causes loss of signal-to-noise ratio (SNR). Amplifier: A device, inserted within a transmission path, that boosts the strength of an electronic or optical signal. Amplifiers may be placed just after the transmitter (power booster), at a distance between the transmitter and the receiver (in-line amplifier), or just before the receiver (preamplifier). Analog: A continuously variable signal. Opposite of digital. Angular Misalignment: Loss at a connector due to fiber end face angles being misaligned. ANSI: Abbreviation for American National Standards Institute. An organization that administers and coordinates the U.S. voluntary standardization and conformity assessment system. APC: Abbreviation for angled physical contact. A style of fiber optic connector with a 5?15? angle on the connector tip for the minimum possible backreflection. APL: Abbreviation for average picture level. A video quality parameter. AR Coating: Antireflection coating. A thin, dielectric or metallic film applied to an optical surface to reduce its reflectance and thereby increase its transmittance. Armor: A protective layer, usually metal, wrapped around a cable. ASCII: Abbreviation for American standard code for information interchange. An encoding scheme used to interface between data processing systems, data communication systems, and associated equipment. ASIC: Abbreviation for application-specific integrated circuit. A custom-designed integrated circuit. ASTM: Abbreviation for American Society for Testing and Materials. An organization that provides a forum for the development and publication of voluntary consensus standards for materials, products, systems, and services that serve as a basis for manufacturing, procurement, and regulatory activities. Asynchronous: Data that is transmitted without an associated clock signal. The time spacing between data characters or blocks may be of arbitrary duration. Opposite of synchronous. Asynchronous Transfer Mode (ATM): A transmission standard widely used by the telecom industry. A digital transmission switching format with cells containing 5 bytes of header information followed by 48 data bytes. Part of the B-ISDN standard. ATE: Abbreviation for automatic test equipment. Test equipment computer programmed to perform a number of test measurements on a device without the need for changing the test setup. Especially useful in testing components and PCB assemblies. ATSC: Abbreviation for Advanced Television Systems Committee. Formed to establish technical standards for advanced television systems, including digital high definition television (HDTV). Attenuation: The decrease in signal strength along a fiber optic waveguide caused by absorption and scattering. Attenuation is usually expressed in dB/km. Attenuation-Limited Operation: The condition in a fiber optic link when operation is limited by the power of the received signal (rather than by bandwidth or distortion). Attenuator: 1) In electrical systems, a usually passive network for reducing the amplitude of a signal without appreciably distorting the waveform. 2) In optical systems, a passive device for reducing the amplitude of a signal without appreciably distorting the waveform. Avalanche Photodiode (APD): A photodiode that exhibits internal amplification of photocurrent through avalanche multiplication of carriers in the junction region. Average Power: The average level of power in a signal that varies with time. AWG (Arrayed Waveguide Grating): A device, built with silicon planar lightwave circuits (PLC), that allows multiple wavelengths to be combined and separated in a dense wavelength-division multiplexing (DWDM) system. Axial Propagation Constant: For an optical fiber, the propagation constant evaluated along the axis of a fiber in the direction of transmission. Axis: The center of an optical fiber. Copyright © 2010 by David R. Goff. Used by permission. All rights reserved.